So I had a happy happy day yesterday when I came home to nail mail! One of those was five gorgeous polishes from Shimmer Polish, whose shop can be found on Etsy. My first impression upon opening it up is that the packaging is just beautiful. Simple, elegant, and really just enough to catch your eye, but subtle enough that jam-packed glitter suspension in the bottle really captures the spotlight. That really translated well when I was swatching; each polish transferred PLENTY of glitter upon one coat, and had complete coverage after two coats. Every single one was gorgeous both in the bottle and on the nail. Added bonus: most of the time I do find myself avoiding glitter polishes because they're notorious for being difficult to remove. Shimmer Polish gave me no problems at all, and actually came off just about as easily as any other polish. An all around awesome Indie Polish. Below are the swatches! First up is Jovie, a gorgeous shimmery light pink glitter in a clear suspension. Next up is Vivian, with pink and green glitters in a greyish suspension. Really beautiful! Third is Josephine, a beautiful pink and blue glitter in pink suspension. I love how playful this one is! Next is Katie, which has pink and teal in it. So perfect for Spring! 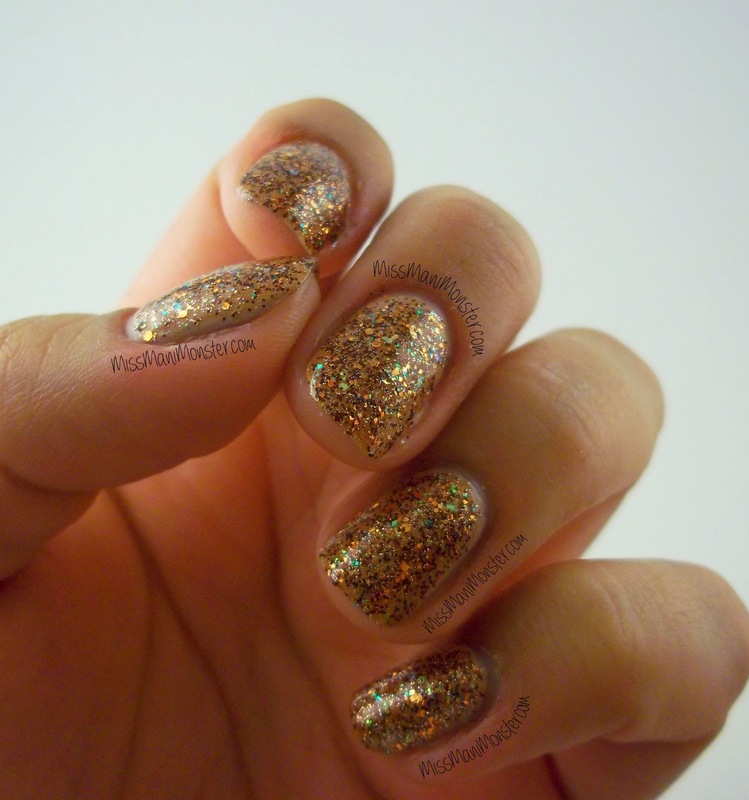 Last but not least is Crystal, with gold and bronze glitter. This just reminds me of being sunkissed in summer! 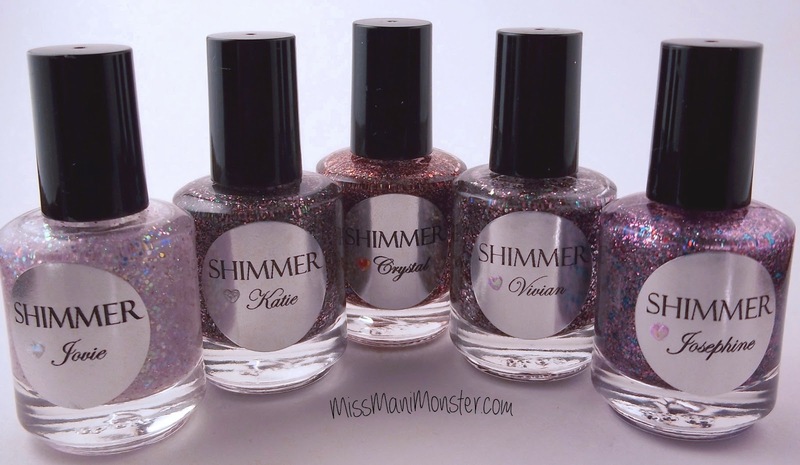 Please pay a visit to Shimmer Polish on Etsy; I promise you won't be disappointed! These are all so gorgeous Heather! My favorite one is Crystal. It was easy to make them look beautiful; you did all the work for me! !